An adventure to a new place is like cracking open a new book. You don’t know what the pages will hold or what story will envelope your mind, and there are some books that you know you’ll fall in love with even before you turn page one. Rwanda felt like that. I arrived to Kampala right in the middle of the jam (traffic). As I have done before, I handed my life over to the universe and enjoyed the ride on the back of a nameless boda boda driver as we weaved and swayed centimeters from stop and go blue and white taxi vans and other bodes. How this dance carries on is baffling to me. Jam time in Kampala is so nuts. The bus started boarding an hour before departure. I boarded the bus excited to find out that I was given the very front window seat which had far more leg room than other seats and even had a ledge to rest my outstretched legs on….it’s the little things. I arrived in Kigali at 6 am after several power naps during the night and a very cold 3 am border crossing. 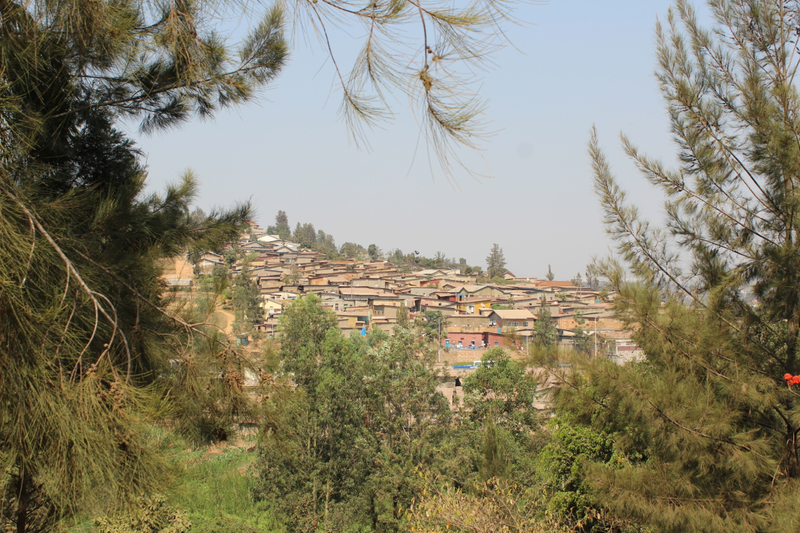 Compared to Kampala, the city of hills is immaculate. Its cleanliness is palatable and inviting. This reverberated in the clean crisp air. The rolling hills remind me of parts of Ecuador. The people are beautiful and kind but the language barrier is tricky. They speak a blend of local language with a twist of french and the turn of their tongue is completely foreign to me. It’s been a while since I have felt this lost with a language. It didn’t take long to have a communication mishap. 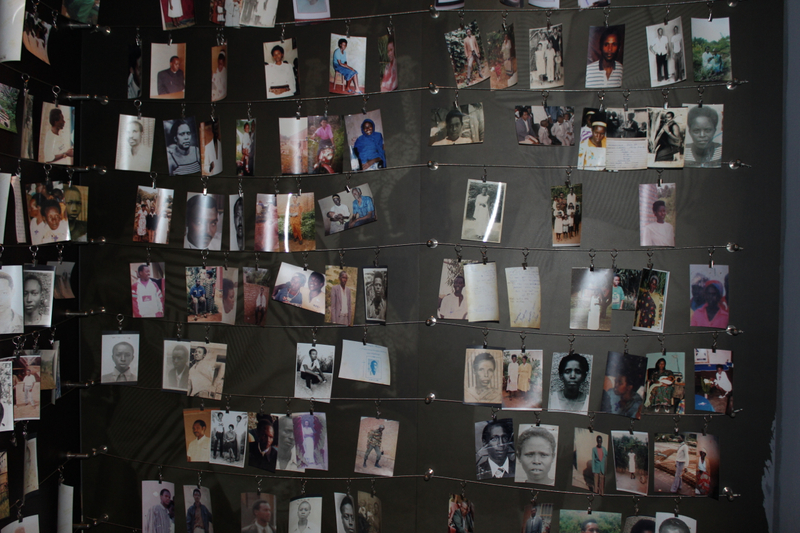 One boda brought me to a primary school instead of the Genocide Memorial. Later, one boda didn’t even know the word ‘market’ so I had to send him on his way and find a different more literate driver. I realize now to what extent learning Lasoga and bits of Lugandan has enabled be to communicate in Uganda. Although there is always more to learn, I see now, how far I have come in learning the language and for that, I am grateful. Despite not being able to communicate much with the locals while I am here, I am certain that the calm excitement of being in a new place will remain. Rwanda is a country of hills, mountains, forests, lakes, laughing children, markets of busy people, drummers, dancers, artisans and craftsman. We manage to squeeze thousands of hills and eight million people into our 26,338 square kilomètres. Our land is rich and fertile, the climate pleasant. This has been our home for centuries. We are one people. We speak one language. We have one history. In recent times, though, genocide has cast a dark shadow over our lives and torn us apart. This chapter is a bitter part of our lives, but one we must remember for those who lost, and for the sake of the future. Before colonialism, the Tutsis, Hutus and Twas lived in peace. The Germans arrived first in the early 1900’s, followed by the Belgium’s during World War I and finally the French who would have the longest lasting impact for better or worse. With Western rule came some pros such as education and better infrastructure. 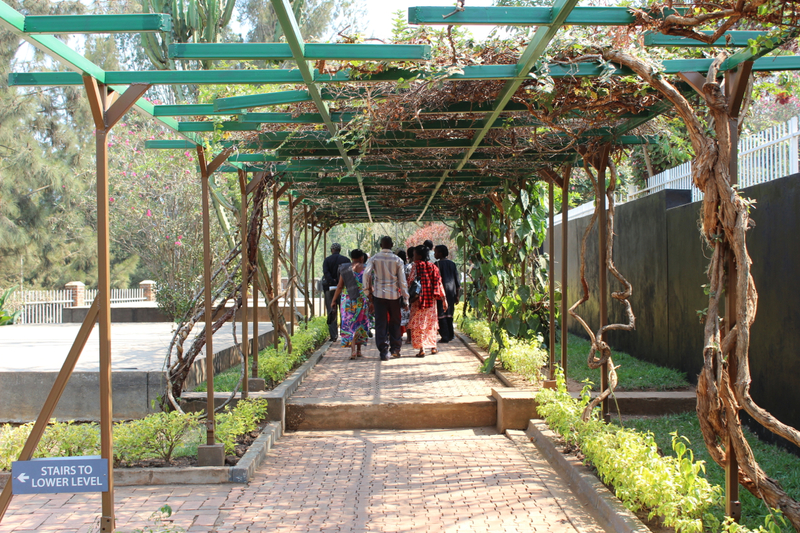 The primary identity of all Rwandans was originally associated with 18 different clans. The Hutu, Tutsi and Twa were socio-economic classifications within the clans, which could change with personal circumstance. Under colonial rule, the distinctions were made racial, particularly with the introduction of the identity card in 1932. In creating these distinctions, the colonial power identified anyone with ten cows in 1931 as a Tutsi and anyone with less than ten cows as a Hutu, and this also applied to his descendants. As the segregation increased so did the fight for power. Fear and arrogance was now ruler until mass killing had begun on and off starting in 1959. 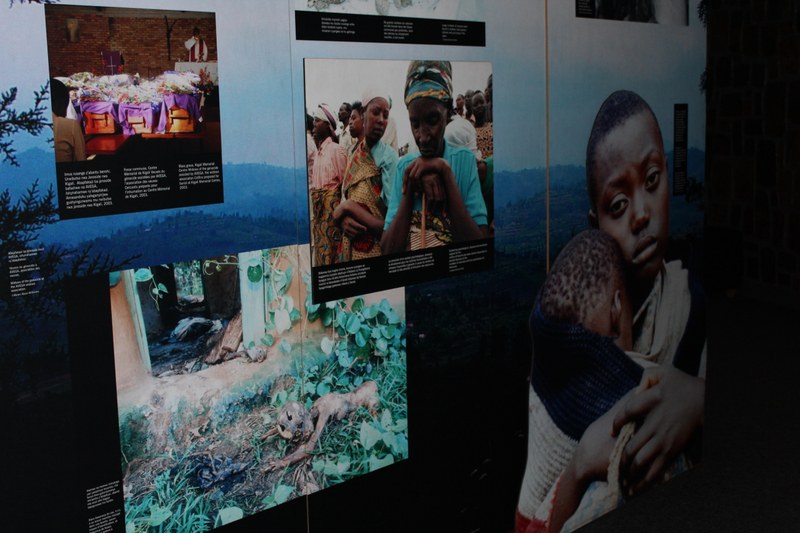 Tutsi people had no choice but to take refuge in Uganda, Congo and other surrounding countries. 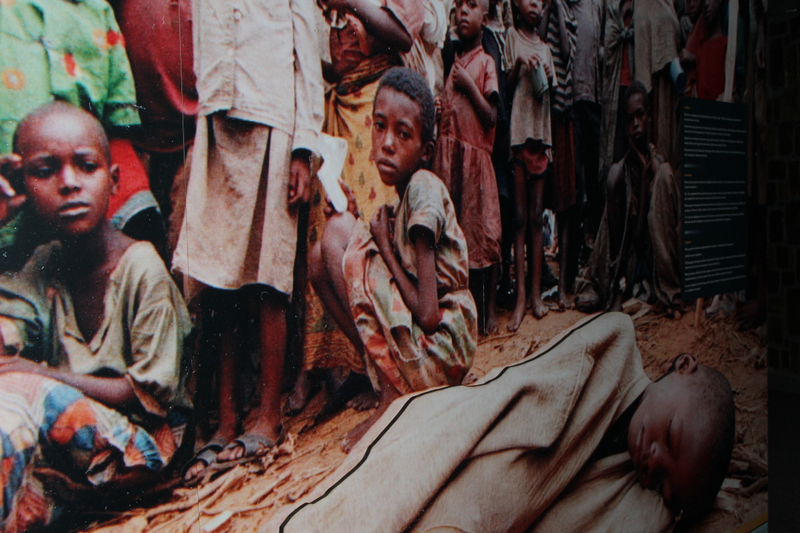 Hutu extremists grew in population fueled by government support and mass media propaganda. The French armed and trained the Interahamwe, Hutu extremist group, by the thousands. 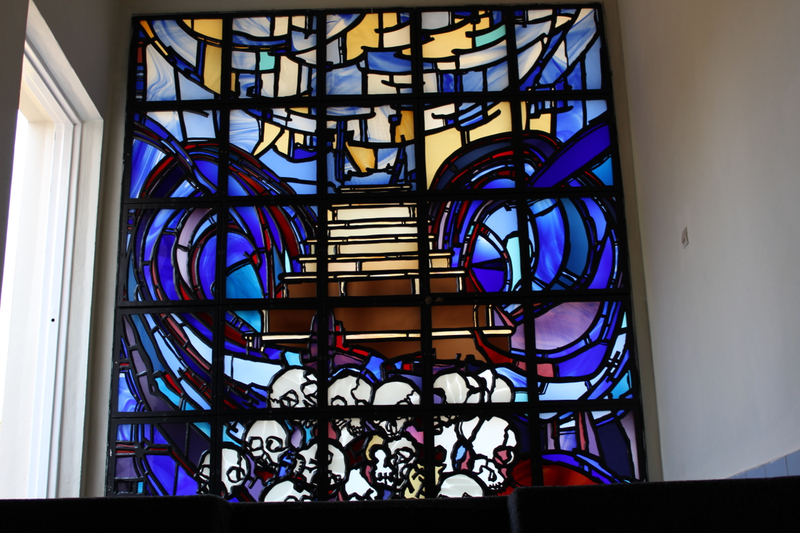 The genocide began after one event that was the final blow after decades of growing resentment. The president had been working on strategy to restore peace and bring democracy back to Rwanda. The Interahamwe wanted nothing to do with this as it would signify to them giving in to the Tutsis. As President Juvenal Habyarimana was landing with the Burundi president, Cyprian Ntayamira, the plane was shot down and they were killed among 10 others. The genocide officially started on April 6, 1994. In many ways the world watched or worse turned a blind eye to what was happening. The US had no presence what so ever and barely reported in the media. The French stepped out within the first few days and the UN did nothing. There were some brave individuals that remained and fought back, but their efforts were not enough in the end. 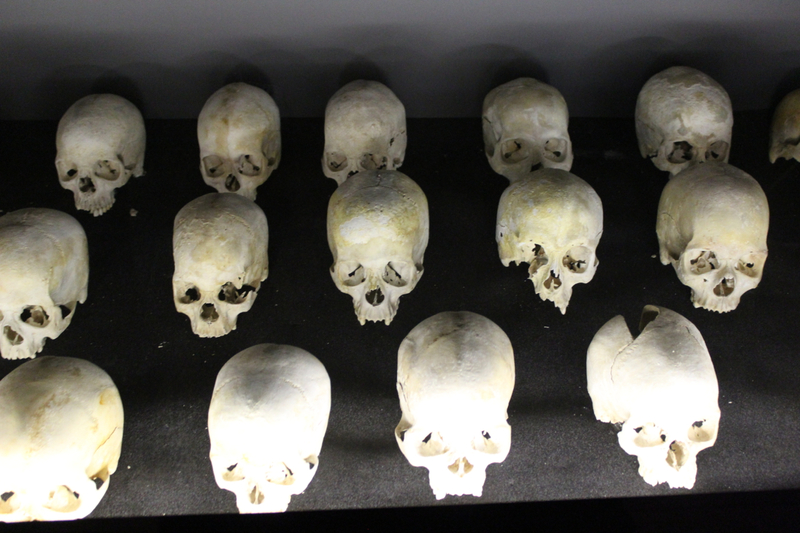 The genocide resulted in the deaths over a million people in 100 days. Tens of thousands of people had been tortured, mutilated and raped, tens of thousands more suffered machete cuts, bullet wounds, infection and starvation. There was rampant lawlessness, looting and chaos. The infrastructure had been destroyed, the ability to govern dismantled. Homes had been demolished, belongings stolen. There were over 300,000 orphans and over 85,000 children who were head of their households, with younger siblings and/or relatives. 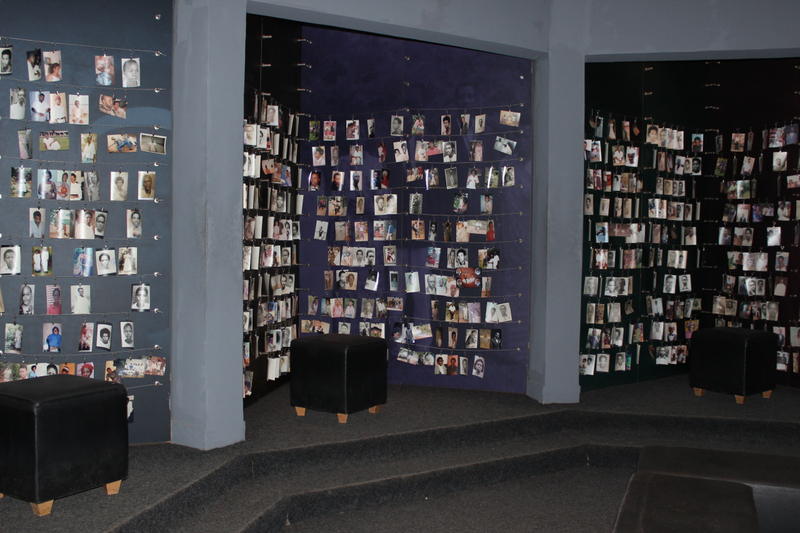 As I sat in a pentagonal room surrounded by thousands of photos of the deceased, sadness took over me. Then a shift occurred and my sadness was soothed by an understanding; a truth that was both dark and yet settling. The evil and darkness that was a conduit for the genocide lives within each of us.These actions were made by those once peaceful clans, once living as one nation until the stirring of colonialism. It speaks for the value of forgiveness and understanding. To cling onto hatred for what has been done and by who, however difficult, and to live with that hatred only perpetuates the cycle. Our society discriminates, judges and makes others feel inferior to one another. These actions only leave traces of arrogance, fear and hate that trickle throughout our daily lives. But just like this evil can live within us, an infinite bright light exists as well . . . 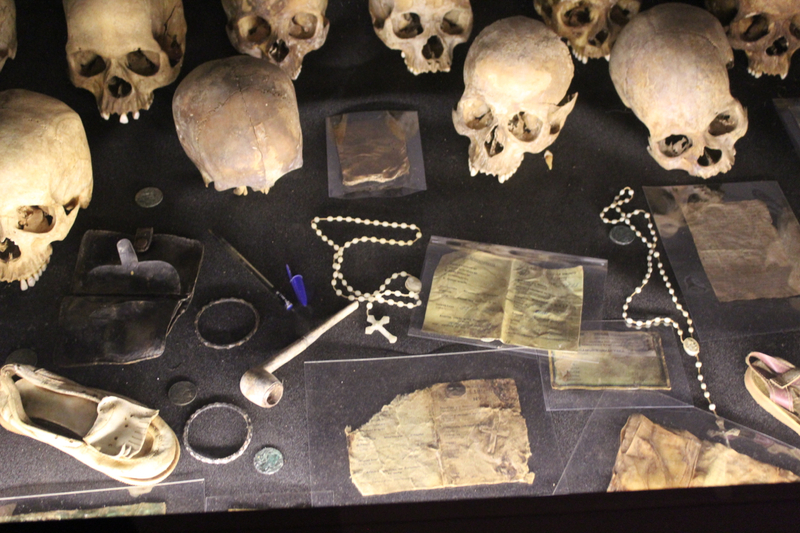 Sitting in a room surrounded by skulls, bones and belongings of those passed, I knew this was something that my head nor my heart would ever be able to fully comprehend. After I left, understandably so, I felt quite depressed. I decided it walk to out before getting another boda to Nyamgenge Market. I walked around the market for a few minutes after deciding I spend enough of my time in crowded markets in Jinja; the piles of fabric, pots and pans all looked relatively familiar. I walked into a pharmacy and asked a very tall and friendly looking man where the Des Mille Collines was located (aka Hotel Rwanda). Actually I half confidently asked him where the “Milly Collen” was, in my best effort to speak French. This man was so tall that with his feet propped up on the stool’s legs, his knees nearly offered his armpits a place to relax. He recommended I get a boda but I instead asked for the general direction of the iconic hotel. He instructed with his equally lengthy arms and said it was about a 45 minute walk. As I walked out to leave, he asked once again if I really wanted to walk. I replied yes and he said that was a nice choice. As I strolled as a stranger in a new city, an overwhelming sense of peace and joy emanated from within. I don’t know if it originated from being in a new city or just from that exact snapshot of my life at that moment but I was reminded of one of the many reasons why I love to travel: the indescribable and intangible sensation of being in a new place. A place once unbeknownst to me, which existed prior to my arrival and will carry on well beyond my departure. At that moment, not more than 10 minutes from the pharmacy, I looked up and saw to my left a large cream-colored building with neatly forested gates which gave me the inclination it was my next destination on the tour: THE Des Milles Collins. I entered feeling beautiful from the inside out; there was reason for my slight grin, I was in my traveling element. Taking each moment as it came, no agenda, no expectations. I was greeted by another tall man at the door who appeared as if had been waiting for me to arrive. I asked him where the best place to grab a drink. With earnest excitement he told me I would be most happy down by the pool downstairs. Once seated, I took in the beautiful surroundings. The decor was modern and luxurious but not gaudy. It was a peaceful spot in the heart of the city. 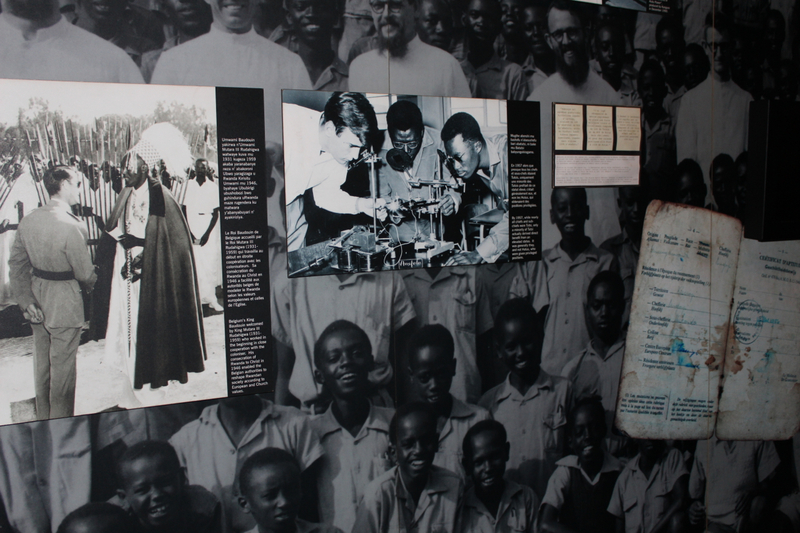 It was hard to believe it was once the hiding place of hundreds of Tutsis during the genocide. I glanced over the menu but I already knew what I wanted. I was dust free and felt so fresh and clean after having one of my first hot showers at the hostel that morning. I ordered sparkling water and a glass of white wine. I was feeling fancy. 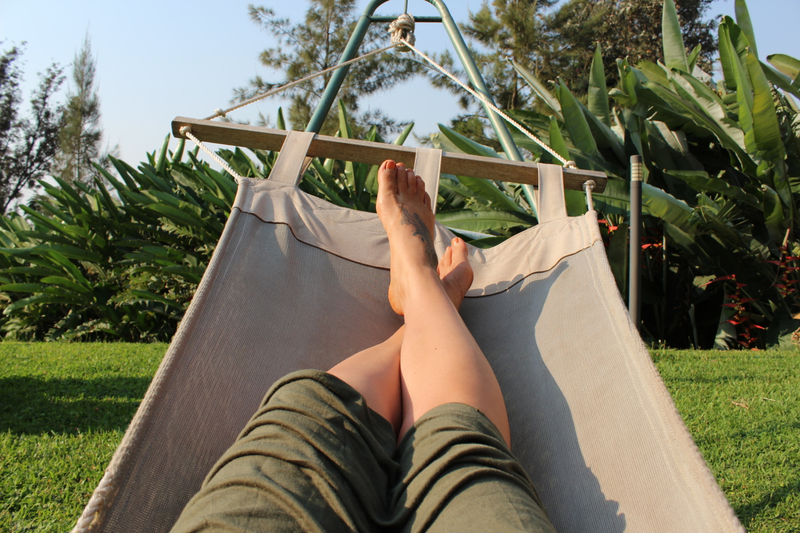 It was then that I spotted a hammock out on the lawn right by the pool. It was time to take my wine and bask in the sun. More and more, it is these little experiences in life that when sewn together make me happy and fulfilled. As the afternoon carried on, I indulged in some chocolate peanut ice cream and a double cappuccino. Later that evening with a gaggle of fellow Mzungu travelers I enjoyed a haricot vert, bacon and blue cheese salad and some fish tacos while being captivated by the stomping and vibration of native dance. Day one a success. A beautiful read first thing this morning, felt every word. Loved this . . . success as a solo traveler.